Shkula Zadran was at her local polling station in Kabul when a loud blast sent voters rushing for cover amidst panicked screams. 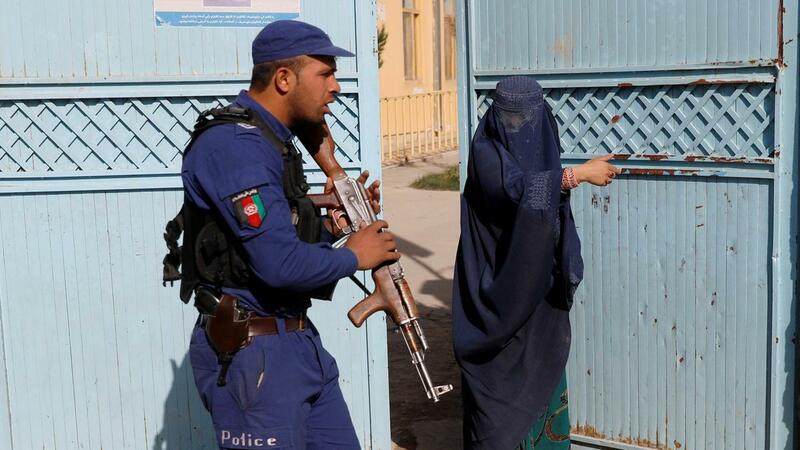 This was the latest in a string of attacks on Afghan civilians casting their votes on Saturday. Despite threats by the Taliban and ISIS, an encouraging number of voters made it to the polling stations. Some made several attempts to reach their polling centers, amidst gunfire and explosions, at great personal risk. “The situation got really bad and people panicked. Everyone was screaming and running, and I decided to go home then, without having voted,” twenty-five-year old Ms Zadran told The National. But she refused to be deterred by the violence she experienced earlier that day. Armed with courage the young political activist waited until evening and set out for the second time to cast her vote in the country’s parliamentary elections. Fearing for her life, Ms Zadran’s family discouraged her from going. “I feel responsible for my country’s future,” she said. “So many people voted in insecure provinces, so why not me?” she asked, adding that the sacrifice of those who died in the service of Afghanistan inspired her to go back and vote.